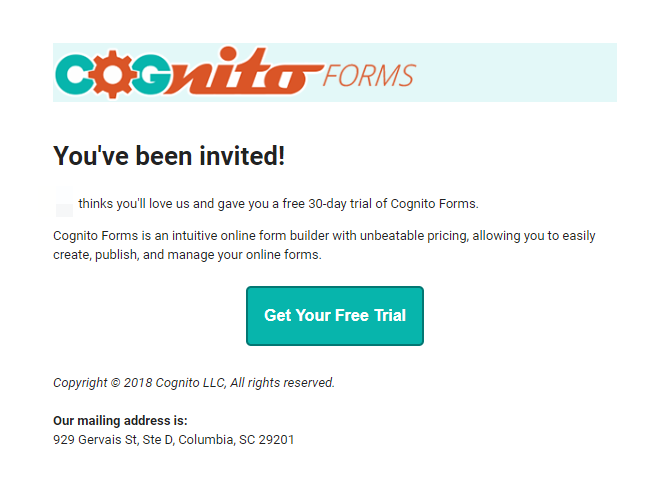 Cognito Forms is a user-friendly platform that allows you to create online forms through a very intuitive UI. 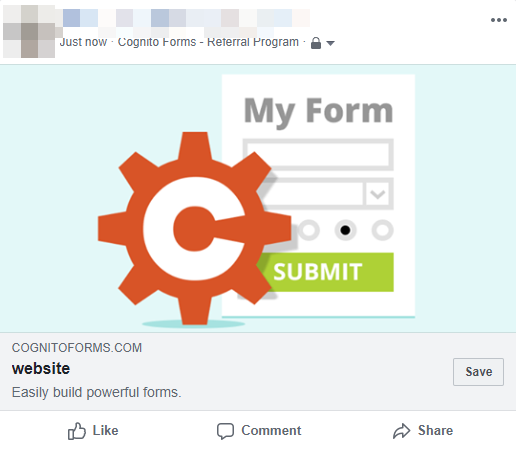 Once you register you can use the platform for free to build unlimited forms, embed them onto your website, or connect them to other apps. They also offer packages starting at $10/month that allow you to add team members to your account, among other benefits. With a fantastic double-sided reward structure, easy and customizable sharing options, and great brand consistent images, this program provides value to all involved. While we appreciate the consistency throughout the program and its ease of use, adding prepopulated social media text would round out the program nicely. 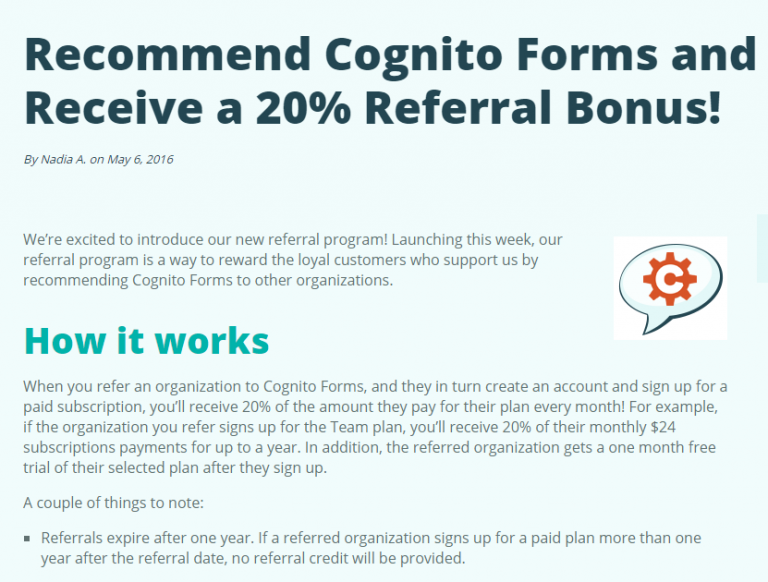 Cognito Forms offers a great double-sided reward for participants and referrals alike. When a referral signs up for a Plan, the referral receives a free month trial for the selected plan. 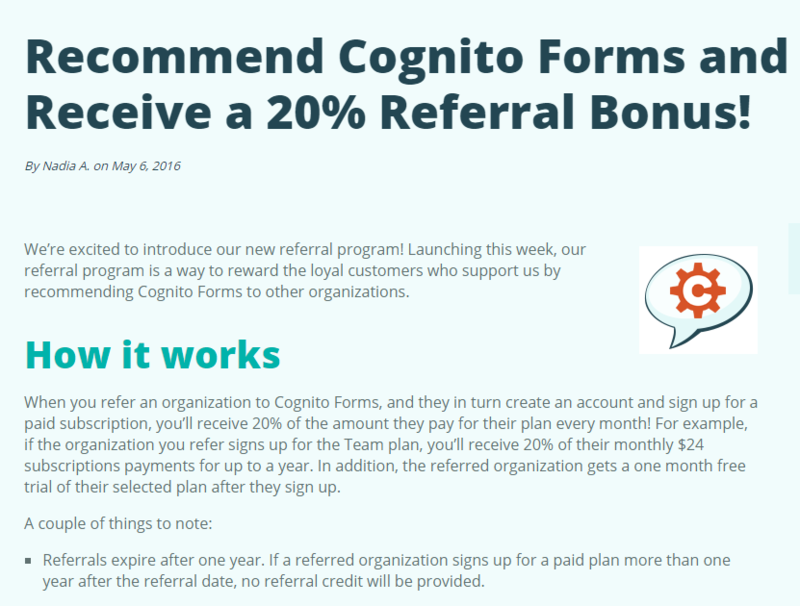 For every month the referral pays for service the participant receives a credit worth 20%!